TimeZone : IWC » Has IWC lost its way? At a watch/whisky(ey)/cars event last night at our local retailer the IWC section got little or no interest; certainly less than the other marques (except for Panerai perhaps). 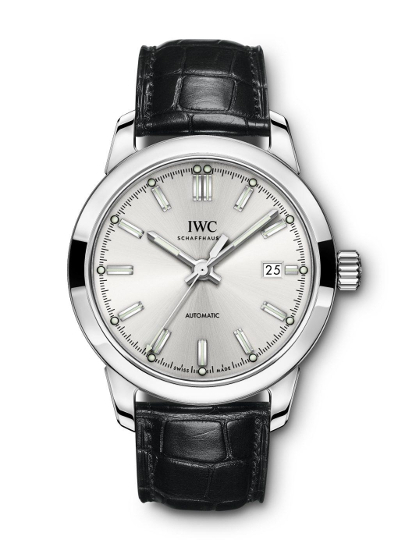 As a former IWC enthusiast/owner--3706 which I wore all of the time--I am wondering if it is so. Your thoughts? Looking at the financial results, IWC has done quite well on the market place. If You ask this question from Richemont Group leaders, I bet they will point out that IWC has done much better than many of their other brands. At least on short term, Georges Kern can argue that his strategy was ok.
That was the NO-part of my answer. Now comes the YES-part. While it's hard to argue against a business strategy that has delivered both profit and growth, I have a feeling that IWC has lost at least part of the brand allure it used to have. This is more evident among the watch enthusiasts, and especially among the traditional IWC brand enthusiasts, than among the average population. I have read many times that my opinion, and other watch enthusiasts' opinions don't matter, because we represent a minority. I disagree. We, the enthusiasts, punch well beyond our weight when it comes to influencing buying decisions. We have lot of friends and acquaintances who ask our opinion before buying a new watch. What's more, many of those strange people who are not intimately interested in watches will nowadays surf the net to find some information from the "experts" before buying. Who are those "experts"? We are. Yes, IWC has lost something that matters in the long run. Fortunately, there's a solution: Install me as the new CEO. I'll fix it. There's a new management right now :) they might as well make kinda turn-around. Whether you like the models or not they do make/assemble a decent watch. But I can't help feeling they are not fully committed. Actually that's it, you know what you want to be and fully commit or you hedge your bets. They're hedging! And I don't believe in hedging. I was hoping they would refine the Timezoner. I own the Worldtimer that is discontinued but it's based on a ETA 2892/3. It's a great watch and while large wears well. The Timezoner has some cool advancements and the should refine it. If they could get that watch to 40mm and 12mm height it would be a classic. But I still love the brand. watch line built on its brand DNA. Pilot's watches? Yes. Aquatimer? Sure. 5001? Beautiful and well done. Ingeneur? Makes sense. Now? Too many variations on each line and more. Brand dilution. "Faux" vintage versions. Ugh!! Where will it end? Maybe I am too conservative perhaps? In the latest Richemont Group financial report, the recently resigned CEO Georges Kern signed a following characterization: "Since 1868, IWC Schaffhausen has been crafting exquisite timepieces which combine innovative ideas with pure, distinctive designs. With our focus on engineering, our products appeal to enthusiasts with a technical interest in watches and an affinity for discreet luxury." On the brand's net site, writing "About IWC", the new CEO Christoph Grainger-Herr has stated as follows: "Our six watch families combine precision engineering with extraordinary and timeless design, bringing the finest technology and unique emotions to your wrist." Now, let's look at one of their newest products: The new Ingenieur Automatic. Innovative ideas? I don't recognize any on this watch. Quite the reverse, I'd say. It's hard to find a less innovative watch from the long history of IWC. Distinctive design?, or extraordinary and timeless design? If we want to be graceful, we can say that it's true to the original design, but distinctive, or extraordinary? Again, I think it is the opposite: undistinctive and ordinary. Focus on engineering? Bringing the finest technology to your wrist? Well, it's lacking the protection against magnetic fields, which has been a defining feature of Ingenieurs, and it has a Sellita SW300 movement. So much for engineering focus, and finest technology. Appeal to enthusiasts with a technical interest in watches and an affinity for discreet luxury? If this is what the brand leadership honestly aims for, I think they are missing the target. Maybe there is still some hope. I know IWC is opening new production facilities in near future, and I know they aim to ramp up production of new in-house movements. The new CEO might not be quite so obsessed with being constantly photographed with celebrities, so hopefully he has some time to think how to live up to one's own words. There is no question in my mind that IWC has lost their way when it comes to many on the watch forums. Years ago, when the question was asked, what is your favorite watch brand? IWC was always near the top with the Timezone crowd. Today? Not so much. Please don't tell me that they are not catering to the watch community and that their sales are doing fine, I don't care and I believe many on here don't care and unfortunately I think that IWC doesn't care. I've personally owned more IWC models than any other brand, 11 over the years. For the first time in the 20 years I've been collecting I don't own a single IWC model. 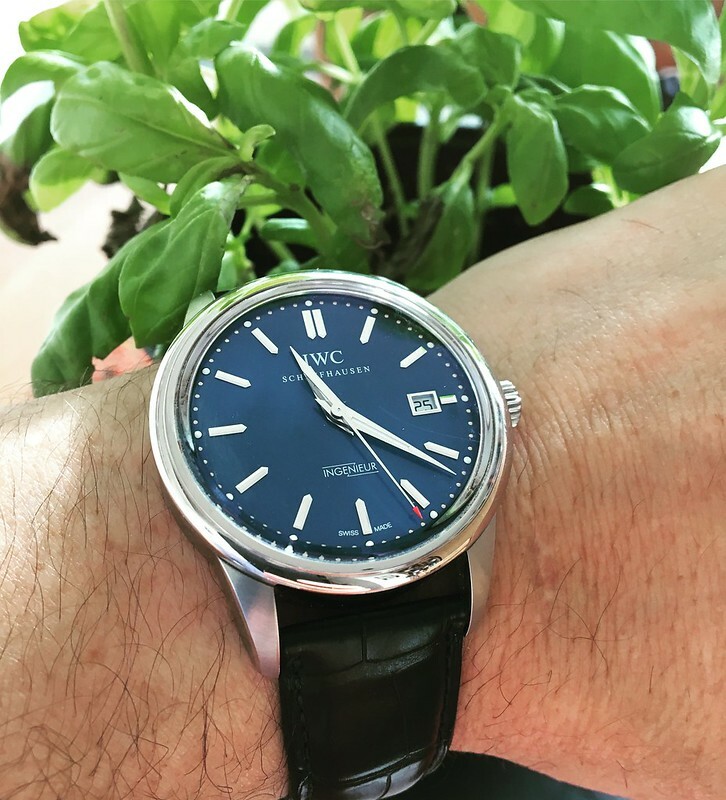 For me personally, I lost the belief that IWC had any ties to their roots and core DNA values, Too many models, with too many changes and no core model consistency. "lost" implies they don't know how they got to where they are OR how to get back. some WIS act like everything is permanent and things will never be the right again when things change. reminds me of my dog when i leave the house or move furniture around....the world is never gonna be the same !!!! lol. IWC could turn on a dime and decide to revert to their "roots" in one board meeting if business dictates doing so. they are attempting to grow the brand (translation=making more loot). growth/attracting *new buyers* is near impossible without some change. adding variants/choices is one proven way to do this. if they flop...you go back to the drawing board or the original. if they succeed.....cha ching!. nothing is set in stone. so people with near zero experience in watch manufacturing/marketing/sales are claiming to know more then the countless professionals the mfg's have working for them and the many millions they spend researching/marketing such things?. really?. IWC is selling more watches and making more money yet they are somehow lost?. this "i don't care what the marketplace is saying, my opinion matters more" is pure arrogance imho. are we really that narcissistic? IWC's "way" is whatever they choose it to be. they decide what to do now and where to go next. they are guided by the marketplace. the only input we have is to cast our votes via our wallets. the marketplace does speak.....and is speaking/proving them right regardless of what we WIS hold sacred and dear to our hearts. if you want a classic IWC design/look, you can still find/buy one in seconds. what exactly is the problem with different models/versions that others (none WIS) find more interesting?. are we insulted that more people without our "fine appreciation and knowledge" are liking designs we don't care for?. so new buyers who know nothing about IWC's history/roots but simply like the new designs shouldn't count for some reason?. i like some of the old designs and have owned a few. like some of the newer stuff as well. one thing i *ALWAYS* like is options and choice's even if some don't appeal to me. go ahead and air your grievances/personal opinions but don't pretend for minute you know something IWC doesn't regarding making/selling/profiting from watches. kinda reminds me of Porsche producing their first SUV years back (loose comparison here). much of the enthusiast community was outraged that Porsche would even try such a thing. i recall reading countless "lost their way" articles back then. so with Cayanne's and Macan's all over our roadways and bringing in huge profits.... did they really lose their way? Sure, if short term profit is the only criteria, you are right. But then, you must like Justin Bieber's music. He is commercially very successful and making tons of money. That's a proof that his music is excellent. If you don't like it, it just means that you are a narcissistic nitwit who does not understand music industry. Right? Being critical of IWC's current business strategy does not necessarily mean that one wants them to just repeat doing what they did in the past. Imho, painting critics as people with no experience in business management is an arrogant approach, considering that you don't know us. Does he like IWC watches? Maybe so; who knows? Why SHOULD IWC care about the WIS community? It would be a bad business decision to cater to a niche market. Look at the 3227 which really appealed to the TZ crowd. The watch was a flop in the market. They are not in business to lose money. I believe there's a basic misunderstanding on how the watch retail world works. Watch companies go to trade shows like SIHH and their dealers look at the offerings and place orders. The dealers know what their customers want and apparently they aren't interested in technical watches. They apparently don't care if a watch is resistant to magnetic fields to x amount of gauss. I'm not saying I agree with the direction IWC has gone but I understand why. And there are a number of watches in their current line I'd own if I had the budget. The 5001, Big Pilot and Portofino with the PR as an example. This is a great topic. I think IWC has lost its way. I've owned a Mark XV, 3717, 3713 Doppelchronograph, 5002, and a Aquatimer Split Minute Titanium. The only one of those still in my collection is the Aquatimer. I regret parting with every one of the others. Nothing that IWC has released since 2006 has caught my attention. I was never a fan of all the special edition BPs and Aquatimers. this is a WIS web site where WIS folks express their opinions. Many of us DO understand how the watch business works AND understand it's about sales. We also know that it is about making money; lecturing us otherwise may have no impact. We are an opinionated bunch and like having this forum and others on TZ to express them, regardless of their relevance to the business of making and selling watches. And I'd guess many of us still don't get Justin Beiber's music either? As for the Big Pilot, I think it is over-priced but know I am alone on that count. In this age of social media, influencer marketing and word of mouth marketing are concepts used by many businesses. There is a tangible value for a watch brand to care about WIS community, because the community is an important part of the influencer ecosystem. But please understand that no one is trying to suppress opinion. All are welcome and this is an excellent topic. Well said, your words echo my feeling exactly. Claiming Mr Beiber has "lost his way" (he doesn't know what he's doing/where he's going) vs "i don't like his music" are two completely different things. Saying you don't like something is fine. We all have opinions and are free to express them. Saying "something" has lost its way and is somehow "not worthy" or "wrong" is what i take issue with. IWC is acquiring new/more customers and making more money. Even if these new people don't appreciate the innovations/history of the brand, their money counts just as much as anyone else's. if more non-wis are willing to buy uninventive products and the company makes more money, why knock the company for going that direction?. IWC's history is theirs to do what they please with. Build on it or destroy it....they own that right. Why frown on the masses who like something we enthusiast don't?. The masses are what keeps the doors open and the bills paid for all major Mfg's. Not the purist and enthusiasts. Maybe with enough support/sales from the general public, IWC can spend more on R&D and come through with more innovations that enthusiast appreciate/enjoy. Who knows?? To expand on your music analogy....you would be correct if I wanted JB to play the type of music I liked instead. I'm not a JB fan but understand his music appeals to many millions. He makes big money doing what he does. Should i claim he is wrong for doing cheesy pop and should start doing blues?, because that's what i prefer.....or because blues music is rich in history and tradition?. Or maybe because true music enthusiast would never listen to that crap?. Let's say JB started out as a blues guy i enjoyed listening to (ok, I'm stretching here lol). Say he didn't do so well commercially, moved on to pop and did better. Who am I to complain about his decision or direction?. As far as i'm concerned, JB can keep doing whatever works best for him. I have no skin in his game. I would move on to bands that played what I liked. That's where my "narcissist" comment came from. Last/most important point...i never said IWC's direction was "excellent" OR everyone should like it. Liking *some* of their newer models is all i said (don't like most of them actually). It may be "excellent" for *IWC* though. Increased sales and/or profits are the end game for almost every large business on the planet. If a change brings in more loot then more power to them. They did the right thing for themselves, not me. If the change doesn't suit me personally?....I move along to something else. My livelihood doesn't depend on what IWC does.....IWC's livelihood sure the h*ll does. Forget the PR blurbs and BS mission statements. Companies regurgitate that stuff daily because it's what the consumer wants to hear. The true "mission statement" of any for profit business is to make more money. Unfortunately, that truth doesn't play well in the marketplace. What's kinda funny is i agree with most of the points you/others make regarding the watches themselves. We just disagree on the justifications of why. Jiipee must be made IWC President. I totally agree with You in that personal like/dislike on company's products or ways of operating, and an assessment of the company's leadership's skills are two different things. I used the Bieber-analogy exactly because there has been a trend on this forum to mix these two different domains. Too often when somebody has expressed his dislike of a particular IWC watch, or the way IWC markets it, the response has been an accusation that the person does not understand the business reasoning behind company's decisions. In other words: "If You don't like it, You don't understand the business". No offense meant, but I think most people on TZ understand very well that the businesses are there to make money. We don't need a lecture on that. This goes maybe a bit of the topic, but when it comes to figuring out how to achieve the goal of making money, the company leadership may not always be the source of the highest wisdom on all aspects of their business. Even with all the resources and data available, there is no guarantee that they make the best decisions. After all, CEOs get fired all the time when the investors/owners come to the conclusion that the current leadership is not able to reach the money-making goal well enough. Mission statement: I create watches that I like. Business Plan: I may sell few to other people, if they ask nicely. I am (mostly) only interested in those IWC's of the recent past. I am not into vintage, so starting from say the Ocean 2000 to the GST line (esp the Deep One) and the Pilot watches of that era. I have a 3706 that I wear quite regularly as well. I am not familiar with their recent releases but the only one that I really like is the Portugieser Chronograph Rattrapante Munich edition, but that is also a relaunch of their old 3712.
bad leadership decisions and/or "new directions" have tanked many once reputable companies. this could be yet another example. time will tell. have only owned a few IWC's but have respected the brand for decades. hoping their short-term uptick in sales leads to long term success and more innovative/interesting products in the future. you really should prepare a resume in case things go south for them. there could be a CEO vacancy soon =). judging from your comments/input on watch designs, i think you'd do a fantastic job! I do believe they've lost their way a bit. I would like to see them go back to the styles they championed in the late 90s early 2000s. In essence, IWC decided it had to "grow", and gave Georges Kern a wide berth as to how this growth was achieved. Mr.Kern proceeded to set IWC out on a relentless campaign of self-dilution. In Kern's worldview, everything would be fine as long as "the dream" or "the image from the movies" was there, and as long as there were some paid celebrities to pretend they liked him. Content, substance, know-how, history - those were expendable. After all (paraphrasing Kern himself), it takes a fool to want to spend $10K or more on something as superfluous as a watch. Smoke, mirrors, bluff, pretense, poor taste... and the fundamentally flawed assumption that wealthy people would want to give away their money. That is the real legacy of Georges Kern. Nothing of substance. No substance where there used to be substance. Stores with flight simulators, carbon-fiber bicycles, models of old race cars, yachting instruments... and watches that used to be antimagnetic, relaunched with the same name but with no antimagnetic properties. Watches that are limited-edition, offered to the public with no individual numbering. You read it here: Georges Kern -in Jiipee's wisest words- cared first and foremost about being photographed with celebrities. The pictures were almost painful to watch, with the Cate Blanchetts and Kevin Spaceys and Adriana Limas of the world concealing their grimaces at the sight of the little, little man. Had I been in charge, I would have reorganized the Pilot, the Ingenieur and the Aquatimer lines using the excellent GST case and bracelet as a chassis, and I would have kept the beautiful Portugieser as the only "historic reference". The Portofino and the Da Vinci would have been abandoned early on. Are you serious? Your decisions would have put IWC out of business. No question. And could you be any ruder than to blaspheme someone you don't even know because you don't like his business decisions? That's inappropriate IMO. - Relaunch the Portugieser as a "historic reference"
- (at this point in time we aren't talking Big Pilot yet). Michael Schott states unequivocally, and I quote: "Your decisions would have put IWC out of business. No question". Sounds very definitive. Does Michael Schott have hard evidence to back up that claim? I would love to see your evidence, Michael. It must be astounding. When I say "STOP IT" with the much-repeated argument of "but they are in business to make money"... OF COURSE EVERYONE is in business to make money. IT IS OBVIOUS. But it cannot, and should not, be used for justifying or defending every.single.step.towards.mediocrity that IWC has taken in the past 15 years. Many other houses (which are also in business to make money) have taken steps toward excellence, some toward banality, some toward mediocrity, and there's no clear-cut recipe as to which kind of step results in "making money" in the long term and which didn't. I tend to side with honesty, quality, rigor and excellence, but that's me. All we can see from our standpoint of informed enthusiast observers, is who improves quality, who retains stature and relevance, and who loses it. Whether IWC has "made money", I don't know, I don't have that information. Whether IWC has lost its way and has become less interesting, I believe that's a fact - that is what I can see and judge from my own opinions, formed through time, experience and knowledge. Last but not least - Something that has bugged me since IWC started this process of self-dilution, is the way in which they relaxed rigor toward words, concepts, and their meaning. I usually cite the most poignant to me: "Ingenieur". "Ingenieur" is a concept IWC themselves created and named, which is by definition an antimagnetic watch. If they stopped making antimagnetic watches, the least one can expect is for them to be honest and consistent and avoid calling them "Ingenieur" - it's as if they made diving watches with no water resistance. And you say the removal of the 3227 from the lineup was a negative milestone. I understand your point of view but from IWC's mouth to mine through an IWC Regional Manager and from a watch buyer at an IWC dealer, this watch did not do well on the market. Removing it only made marketing sense. I agree that IWC has made many bad decisions. You have to produce what your dealers want to buy. That is undeniable fact. I think part of their issue is that many of the LE's are available only through Boutiques. Dealers have demand for these and wish they could get them. Maybe certain LE's should be regular production models. The other issue IMO is that they want to revise each line every 4-5 years. That has not worked out so well as far as I can tell. Look at the confusion in the Aquatimer product line. It's lost it's identity. Personally I prefer the lovely 3548 over anything since although the 2000 was nice if too large for everyday wear. By the way I am a big fan of the discontinued "Vintage" series. The Inge and the Moonphase are great watches, beautiful and true to their history. The one thing I believe can be proved to a high degree of certainty is my statement about Georges Kern - just look or read his interviews. The man is insufferable, boorish, with a Messianic overinflated sense of self that convinced him he could punch way, way above his weight. Some bought his image, but you can't fool everyone all the time. What I don't think can be proved is my "project". When I said what I'd do with IWC, it was in the same vein as saying what I'd do if I won the lottery. 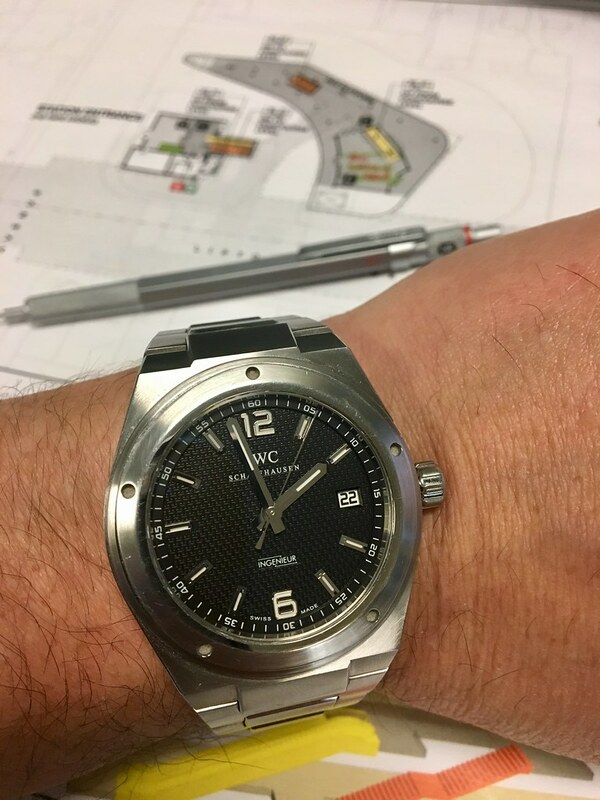 I can't know if it would work or not, it is just an expression of intent - My probabilities of becoming some sort of Director of Design at IWC are likely smaller than those of winning the Powerball. What you did was state that my speculative idea would fail, with 100% certainty. I hope you see the difference - to affirm such a thing, I would imagine you have conclusive proof... but in reality no one can prove that. There are too many "what ifs", starting with the biggest of them all, "what if someone, in a position of power within IWC, believed in this other idea so doggedly and had surrounded himself with a capable team and communicated his charisma and his passion to move the house in this particular direction". Instead, IWC got Georges Kern. Well, he made IWC's bed and made IWC lie on it, and that's how we got to where we are. The situation left behind for Christoph Grainger-Herr to manage is unfortunately not one of quality or image: it is in essence a problem of trust, of credibility, of focus, and of brand consistency across lines. I'd say those are more difficult to piece back together than just ramping up quality, R&D or a service department. For me, Vintage Collection is still the best in IWC Family. I owned everyone of these except Da Vinchi, and still have couple. Portofino Moonphase is a beautiful and unique piece and I miss it dearly :) Vintage Aquatimer is one of the best vintage inspired diver watches out there, on-par with JLC Vintage Deep Sea - as far as quality, charisma, been true to original roots. Vintage Ingenieur stylistically is an amazing watch, so I agree that it's lacking "toughness" and surely not a tool-watch. Portuguese is also well made, versatile, balanced & recognizable piece. Pilot is still one of the best hand-wound pilot watches, with clean design and legible at any time of day or night. Da Vinchi is the only one that would not do it for me, so I was still thinking about owning one. Overall, every piece in Vintage collection carries a recognizable IWC DNA. Ingenieur and Aquatimer from the latest collections are a miss, imo. Number of pieces in Pilot and Portugieser lines still appeal to me. I think IWC has decided to take another path pursuing more popular markets. While the new models are also beautifully made, I'm sure there're watch lovers who very much prefer the older models. Personally, I miss the good old days. Next Topic: Problem with IWC Ref: 3777, Any thoughts would be appreciated.